Is a Master’s degree in your future? Deciding to return to university for a Master’s degree can be agonizing. Why? First of all, navigating university options and program features is complex. Furthermore, today’s application process is time-consuming, while the competition is intense. And the actual costs of completing full-time Master’s degree over 1 or 2 years can be the equivalent of a down payment on a house. Especially when you add the opportunity cost of quitting your job. Don’t let these obstacles discourage you. Especially if you know in your gut that pursuing a Master’s degree will bring you future happiness and success. Go for it. Just be ready to ask and get satisfactory answers to a long list of important questions. How many questions? I dunno, at least 40 of them, that I can count. 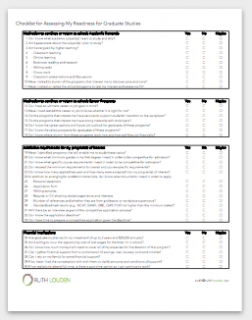 Download the Checklist for Assessing my Readiness for Graduate Studies worksheet. Keep it by your side as you hunt for details online. Ask the questions when you talk to school reps and alumni from your program options. I close with resources to support your research into possibilities and gain confidence in your ultimate choice. Let’s assume you actually get into a Master’s degree program. Are you motivated to finish? Do you have one of the most important aspects of motivation? The passion to pursue the academic subjects, questions and issues at the heart of your program(s) of interest? There are two reasons why passion for the program is critical. First, courses in a Master’s degree program require a ton of reading, researching, writing and group learning. There is a reason they call it higher learning. It is intense. If the material you’re studying doesn’t interest you, you will either fail or drop out. What’s more, you risk losing precious time, money and self respect. Second, because those who make admission decisions are passionate about their discipline, they look for applicants who share that passion. They assess you on the basis of whether you can demonstrate this passion in your statement of interest. They seek evidence of passion through your previous academic, work and life experiences. Be your own inner parent and remind yourself: “don’t start something unless you know you will finish it!” And I’m not talking about a hot dog here. Do you know what subjects generate in you genuine, get-me-out-of-bed-in-the-morning passion? 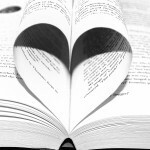 Are you passionate about the field of study you hope to pursue? Are you energized by the realities of higher learning? Have you talked to people who have completed similar programs to learn about the pros and cons of their experience? Have you sat in on classes to test whether your body reacts with a snore or a smile? High five if you can answer yes or maybe to most of these questions. You have the academic raw material to complete a Master’s degree. Not everyone returns to school for a Master’s degree because they are career minded. But many, if not most these days, do have career goals in mind. Is a Master’s degree appealing to you because of the promise of improved career options? The lure of great job offers at the end of the road? If so, do your homework before entering the program, so you are not disappointed upon graduation. Do you have a realistic, tested and informed plan for your future? 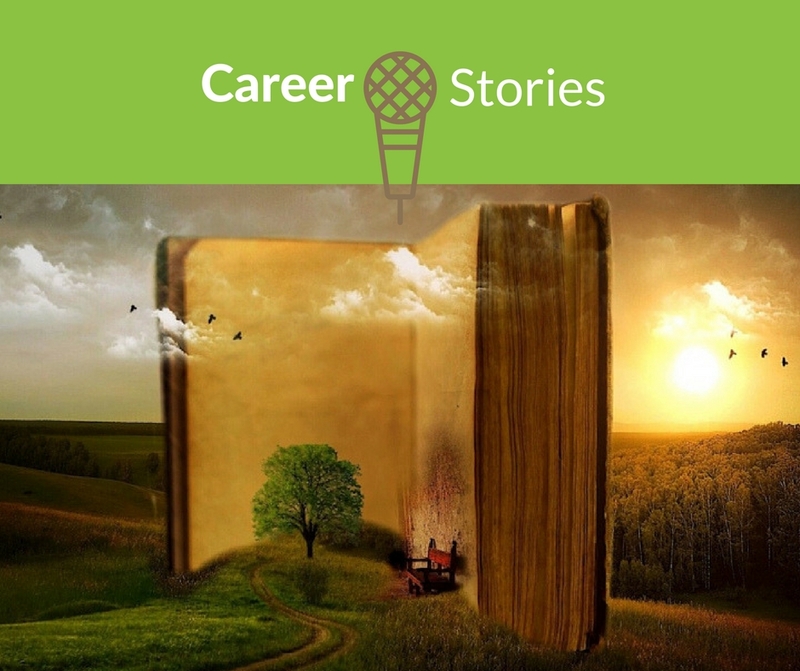 Begin first by getting clear on your career fantasies. Where do you hope higher learning will take you in your future? In particular, do you have a clear road-tested career goal in mind for which a Master’s degree might build related qualifications? As you discover university programs that might be the ticket to these dream jobs, investigate their career-related support systems. Equally important, find out about their networks with employers, the job and salary outcomes of their alumni. Have you honed in on programs that give you a sense of confidence about positive career outcomes? Congrats. Now let’s get real. Admission to most Master’s degree programs is generally highly competitive. Anyone willing to invest the time in a demanding application process can consider doing a Master’s. However, the Master’s degree can generally be done only after you have an undergraduate degree – i.e., Bachelor degree. If you have one, that’s great – give yourself a check mark. Before getting more deeply into admission requirements, let me make an important clarification. Master’s programs can generally be grouped into two categories: graduate studies and professional studies. Graduate studies go deeper into subjects you have studied in your undergraduate degree, such as biology, international relations, or psychology or broad fields that accept students from any previous disciplinary background. The career outcomes for these programs are less predictable and depend in part on your previous experience. Professional studies at the Master’s level prepare students for direct entry to regulated professions. Examples are social work, teaching, occupational therapy and medical programs from dentistry to medical doctor. A few of these are offered as a first Bachelor’s degree, such as Nursing, Teaching and Social Work. The majority of them require either two or three years of undergraduate study and in some cases a completed undergraduate degree. For the purpose of this blog post, we’re focusing on Master’s level professional programs. Given that program requirements vary widely from school to school and program to program, your research is important. As a general rule, professional Master’s programs have more competitive admission requirements than graduate Master’s programs. Do you exceed the grade and course requirements of your program(s) of choice? Academic transcript(s) from any previous education after high school provide starting information. Those with a B+ average in at least the final year of their program can likely find a graduate studies program for which they are both eligible and competitive. Course-specific requirements are listed for some programs, along with a minimum grade. For example, science programs require you to have a certain number of courses in a related disciplines. Many social science programs require a course in statistics or quantitative methods. Some business programs require university-level math. Recency and duration of academic performance are important. Some programs look at the last year of performance. Others demand 2 years of sustained performance. Some look at the top 10 or 20 courses overall. The most competitive of all are admission requirements for regulated professions, where they can look for up to 3 years of sustained high performance at an A standard – e.g., medical and law schools. Standardized test results for some programs are required and high scores are generally the norm. Examples include the GMAT for business school, the MCAT for medical school, the LSAT for law school or the GRE for a number of social science programs. If required, anticipate that prepping for standardized tests will take time, money and mental focus. Higher than the minimum stated is generally the reality. Most schools will state on their website a minimum for both overall and course-specific grades. Aim for higher than the minimum if you want to compete. Do you have relevant experience and quality supporting documents? Relevant experience counts. For students near or slightly below the minimum grades, some programs will consider “mature students with relevant experience”. Although high grades will help you stand out, many programs also expect related academic, work and/or life experience. References from professors and employers rate and rank you against other applicants. Typically at least two references are required from those with whom you’ve worked closely. Make sure you ask individuals who can vouch for your ability to perform well in higher studies. All things considered, are you willing to invest time to research the best program to meet your goals, interests and level of competitiveness? Does preparing a quality, stand-out application sound like a realistic task? Can you chase down references from employers and/or profs? If so, keep reading. Actually, grad studies can be cheaper in the long run than your first degree. First of all, a Master’s degree is 1 or 2 years, so shorter than an undergrad degree of 3 or 4 years. Often, but not always, an offer of admission to a grad program includes a guarantee of funding. As a mature student, the bank of Mom and Dad is no longer factored into your eligibility for government funding. So you could now be eligible for a loan and might even qualify for a sizable grant. It’s nonetheless an expensive undertaking. If you study full time and do not live at home rent-free, it can cost up to $20,000 per year. 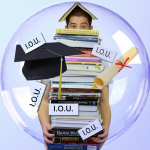 Do you know what your studies will cost you and where the money will come from? Can you invest time and money to complete a 1- or 2-year program of full-time study or a 3-5 year part-time program? Do you have at least a rough sense of the return in lifetime earnings on such an investment? Have you budgeted how much you need annually for tuition, books, other fees and living expenses? Do you know where the money will come from – considering grants, loans, savings, part-time work and family support? Have you had the conversation with the bank of Mom and Dad in order to know if they will support you? Do you know and accept the conditions of that support? Are you still with me? Still hankering for higher learning? Then you could and perhaps should consider completing a Master’s degree. But hang on, there is one more reality to consider. Successful completion of grad school studies starts with a successful application. It doesn’t end until you finish the program! So let’s also get real about the roller coaster ride you’re about to embark on. Imagine it’s September 2018, week 3 of your studies in your programs of choice. You’re up to your neck in the academic grind – i.e., attending classes, studying for mid-terms, writing papers, navigating the new rules. Prepare to ride the roller coaster of lows and highs of higher education! Anxiety-provoking. Returning to school at any age can be scary, therefore be prepared for some anxiety. In the beginning, you’ll feel a little rusty in a completely new environment, with new people, new rules, new learning. Time consuming and 24-7 stressful. You’ll be juggling deadlines for different classes and projects with different classmates. Be prepared to sacrifice time with family and friends. Anticipate late nights and weekend work to finalize papers and presentations. Interpersonally frustrating. You can be working with classmates who may not be as committed to a quality product. Conversely they can be unnecessarily perfectionist or just plain miserable colleagues. What’s more, Faculty members can be notoriously challenging to hook up with when you need them! Expensive. Those daily Mocha Frappuccinos you used to enjoy? Gone as you can’t afford them anymore. Those weekly visits to the movies? Not in the budget. How about a new pair of jeans to match up with your new school t-shirt? Forget it, because you’ve maxed out your credit card limit for the month. Deadly boring. When subjects you are studying are not truly your passion, the learning will be painful. Not so promising if you’re pursuing higher education for the sole purpose of landing a job. Creatively taxing, leading to mysterious weight gain. Are you writing challenged? You’ll find it agonizing, every time you sit down to write a report. You’ll stare at a blank page. And resort to eating Oreo cookies in the hopes they will inspire you. They won’t! Enhances your skills. Writing, research, presentation and data analysis skills are all “employability skills” you’ll develop. These skills are valued by most employers. Engages you in questions that matter to you. A Master’s degree exposes you to the big problems, from local to international, from social to scientific. It acquaints you with research from leading experts that can transform your world view. Builds community and relationships. Many of your colleagues in the classroom are mature, connected and really smart/interesting/funny. You learn a lot from Faculty, but also from your classmates. These same folks become your future network and life-long companions. Can make you stand out in a job competition. Doors will open to certain fields where a Master’s degree is required. Examples include policy analysis, management consulting, counseling, advisory roles, and many functions in scientific research and development. Gives you a sense of accomplishment. Whether apprentice or accomplished writer, each dreaded report submitted brings you satisfaction. Each presentation delivered to your classmates can boost your confidence. All things considered, should you pursue a Master’s degree? You be the judge. Download the Checklist for Assessing my Readiness for Graduate Studies worksheet to guide your research and make a good decision. To get started, check out the ten resources below to help you discover some of the answers. Research career and related education options through Canada’s Career Cruising website. Your local library membership gives you access if you are not currently a student. Find out about occupations in demand through Canada’s Occupational Projection System (COPS). If you prefer a more user friendly interface, check out O*Net Online. This U.S. Occupational database conducts comprehensive job outlook research relevant to the Canadian labour market. It gives you everything you want to know about occupations that interest you. Use LinkedIn to research career paths. Network there with professionals in careers that interest you. Make sure you first have an account! Search university programs in Canada, using the program filter to isolate the level (Master’s degree). Try out other key words to identify programs that meet your criteria. Research your options if you are thinking about studying abroad. Link to all professional bodies in Canada from Accounting to Veterinary Sciences. Find out which universities programs are accredited to teach that profession. Learn about application requirements for common professional programs in Canada with UTSC’s tip sheets. From the link, scroll down to the bottom of the page and you’ll see the professions individually listed. Apply to university programs in Ontario and across Canada. Find out how Ontario’s OSAP program is changing to support low income students pursue their education. Research scholarships and bursaries in Canada. Good luck learning what you need to know and making a great decision for your future. If you have comments or questions, feel free to add to the conversation here. Or if you have a private question and/or need help to prepare a competitive application, fill in my contact form. We can talk. This entry was posted in Education & Training on June 1, 2017 by Ruth Louden.